Christian Media in Nigeria : GREAT NEWS! Kidnapped Nigerian bishop has been freed unharmed! GREAT NEWS! Kidnapped Nigerian bishop has been freed unharmed! A few days ago, we brought you news on the kidnapped Nigerian Bishop of Gwagwalada (If you missed it, read here). All adoration to God, he has been freed, according to a report on the Anglican Ink website. Rt Rev Moses Bukpe-Tabwaye was abducted from his car on September 3 in Southern Nigeria. His captors demanded 40 million Nigerian Naira (approximately £132,000) for his release. The police authorities in Delta State found the bishop's car,where it had been abandoned with its ignition still on. Now the Primate of All-Nigeria, Archbishop Nicholas Okoh, has written to his bishops saying that Bukpe-Tabwaye has been freed and that no ransom had been paid. 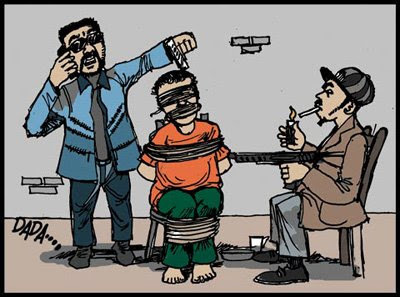 The Nigerian broadcaster Channels TV, citing a Delta State police spokesman, said the kidnappers had been arrested. Bishop Bukpe-Tabwaye is one of the youngest bishops in the Church of Nigeria and was consecrated in April 2015. Okoh previously issued a statement calling for "fervent prayers for his immediate release." He is not the first senior ecclesiastic to have been kidnapped in Nigeria, which struggles not only to contain the Boko Haram insurgency but in parts of the country against high levels of violent crime. In 2013, Archbishop Ignatius Kattey was abducted with his wife Beatrice in the Niger Delta region, before their release was successfully negotiated. Okoh urged Christians to be "vigilant and security conscious wherever you find yourselves". "The issue of kidnapping is rampant in the country but we can still curtail the menace if we are vigilant," he said. "If we fail to live together as brothers in prayers, we shall perish as fools, so we should endeavour to be our brothers' keeper."